Okay, this wine doesn’t literally crawl inside your brain, but you’ll certainly have nightmares just looking at it. 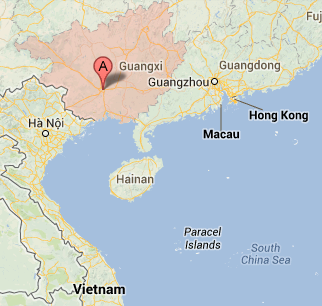 The drink has been around for thousands of years, hailing from Bama County in Guangxi Zhuang of China (just above Vietnam). This region has the greatest number for centenarians in the world (okay, fourth, but that’s still pretty good). Some say is the climate and air quality. I say it’s the snake wine. Fangs for the memories: The cobra’s potent poison is negated by the ethanol used in the rice wine. Found from the article at the Daily Mail. Although the snakes (and sometimes scorpions) bottled in the brew are certainly poisonous, the ethanol takes care of that. The venom is protein based and breaks down in the alcohol. Want to make some yourself, just slip a snake into a bottle of ethanol and wait a few weeks. Bingo, you can call yourself a master of spirits. Picture captured from Dangerous Minds article. Want to order some? Then visit the Thailand Unique. 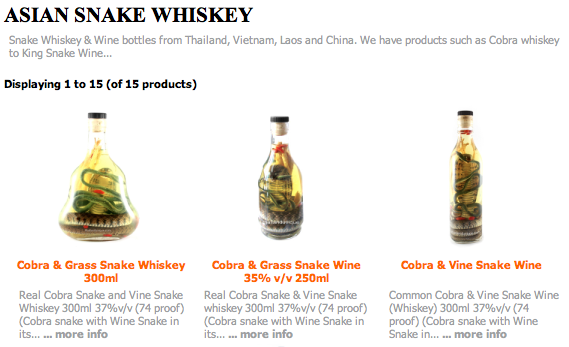 They also have Thai spider whiskey and Giant Centipede Whiskey. Both have a bite (pun intended). Want to up your ante from the worm at the bottom of the bottle of tequila? 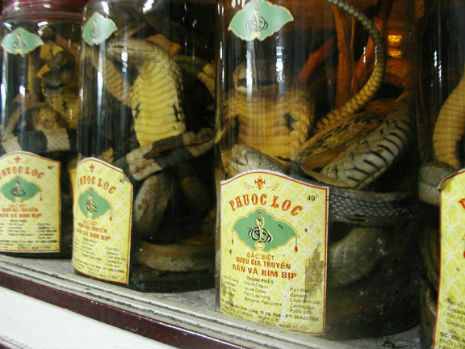 Go for some snake wine. Who knows, it might make you live longer. Learn how knots, dead dogs, and excrement can deter a vampire. As a lover of all things vampire, my wife purchased me The Element Encyclopedia of Vampires. As I strolled through the expansive volume, I noticed that despite it’s generous supply of information, some details were scattered. I was immediately drawn to Aprotropaics. This is a term coming from the Greek word apotropai, which is something that averts evil. This is four part series summarizing the four ways to combat evil (specifically vampires): Pacificaiton, Countering, Restraint, and Lethal Aprotropaics. The goal with pacification was to remove the vampire’s urge to kill or drink blood. Generally this meant feeding the vampire something else to quell his thirst. This is old school vampire lore (non of that Twilight stuff). The kind of stuff Romanians still believe in. People thought the world of the dead was similar to that of the living. That means eating. All sorts of food were left in the grave to prevent that person from rising as a vampire. Seeds were common. In Germany alone, folk used to bury or scatter poppy seeds, mustard seeds, oats, linen seeds or carrot seeds. Some of this is related to eating, but it also went back to the believe that vampires were seriously OCD. 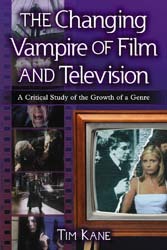 Many beliefs in vampirism (Eastern European and Chinese) felt that the undead were compelled to count. Therefore if there were seeds in the grave or sprinkled outside, the creature would have to count them all before rising. Now you might think this a task that could be accomplished in a day or so. Oh no. The Kashubs (in Poland) surmised that a vampire could only count a seed a year, thus keeping him busy for centuries. Although not strictly food, knots were also used as a delaying tactic. The obsessive vampire would stop to count all the knots (or possibly untie the knots). Nets were often buried with corpses to provide them with years of entrainment. The Macedonian Folklore by G.F. Abbot (1903) a story tells of how a hunter lured a vampire with a pile of millet grains. The vampire was so obsessed with counting that it didn’t resist when the hunter nailed him to the wall. The OCD aspect of vampires is highly underused. This reminds me of an excellent episode (Bad Blood) on the X-Files where the FBI agent Mulder pacifies a vampire by strewing sunflower seeds. The vampire, aware of his own compulsion, states, “Ooo, I’m going to get you when I’m done.” This gives time for the agent to escape. A pizza boy attacks agent Mulder. His shoes are also untied (a sign that he’s a vampire). A similar practice to pacify vampires was to lay a dead dog or cat on your doorstep. Yeah, I know. A bit macabre. The idea was that the undead must count all the hairs on the animal. I’m not sure how long you could pull off this particular protection. Seems a last minute thing to me. My favorite pacification technique came with the belief in holes. In Eastern Europe, people thought vampires exited the grave via holes in the ground. In Bulgaria villagers would place bowls of excrement near grave holes (and you thought the dead dog was bad). The vampire would eat the excrement. I’m guessing this has to do with the undead being a foul and smelly creature. In any event, the vampire was sated and no longer longed for blood. Finally, a pacification technique that works well with humans was wine. To keep a corpse happy, Romanians bury it with a bottle of wine. After six weeks, the bottle was dug up and drunk with relatives as a form of protection. Sort of the hair of the dog that bit you. One step further was to bury the dead with whiskey, believing that the vampire would become too drunk to find its way home and drink the blood of its relatives. 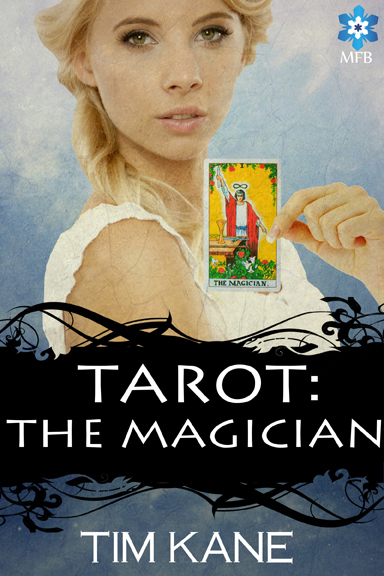 On the next post, we’ll tackle countering apotropaics like garlic, lemons, and tar. Wannabe writers often bemoan that they can’t find the time to write. It’s not going to happen, they say. They’re too busy. This reminds me of an adage I once heard: Want something done, ask someone who’s busy. On the surface, this doesn’t make sense. Busy people shouldn’t have time to get something done. But that’s exactly it. Busy people get things done. Okay, I have to segue to the wine thing. What in the blue blazes does wine have to do with writing? (Other than it can sometimes help loosen the fingers for typing.) Glad you asked. It goes back to something a winemaker stuck in my head years ago. That is: stressed vines produce better grapes. Here’s the science of it in a nutshell. A vine, like any other plant, wants to flourish. Give it plenty of water and rich soil and it will grow vigorously. Yet it’s fruit will be lackluster. This is because the vine is happy. Why put much effort into reproducing when everything’s so peachy. 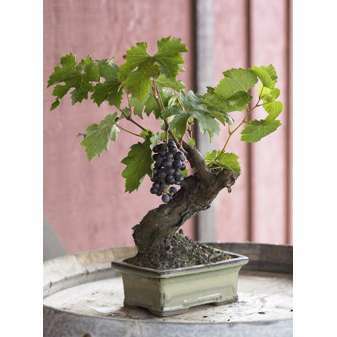 Now put that same vine in rocky soil and cut down it’s water to a dribble. The vine will still live, but it’s freaked out now. It’s thinking, I need to find a better place to live. Alas, plants don’t have feet. So the best solution is to produce fruit that birds can eat. The seeds are spread, and the plant hopes to flourish on better soil. The worse the environment, the more the vine will want to search out better sites through reproduction. The same applies to writing. Imagine you’re a writer with an easy life. You’re like those vineyards where the vines are laid out on flat, level plains with plenty of moisture. Heck, you can even use a machine to pick the grapes. This sort of writer doesn’t have a strong desire to produce work because life is so good. Now the stressed writer only has a few precious hours a day to get the writing accomplished. No time to dilly dally about. You either write, or it doesn’t get done. Period. I can’t say I wanted to choose the path of the stressed writer. Economics did it for me. Now, for any wannabe who still claims they have no time, let me illustrate my schedule. First off, I’m a school teacher. A damn good one. I don’t goof off at school. I commit myself to my students. And this takes a good chunk of my time. I get home around 3:30 or 4:00 each day. Then I switch to my family. My daughter usually hits the sack around 7:30, so the hours in between belong to her and my wife. After that I get to write, correct? Not really. I have a second job (third if you count writing). This is creating test questions for various standardized tests. Remember those word problems about trains barreling toward each other on the SAT? I’m the chap who writes them. This takes usually two hours of my night, which puts me at about 9:30. Something you need to know about me. I sleep easily. I can fall asleep driving, or reading, or even talking. No, I’m not narcoleptic, but my body shuts down when my brain isn’t stimulated. On long drives, I have my wife read me trivia questions to keep my brain functioning (so I won’t crash the car). Thus by 9:30 I’m already winding down. I used to write during this time, but I found that I fell asleep on my keyboard after maybe thirty minutes. I still do a bit of writing, but it’s mostly blogging like this or critique work from my writing groups. That leaves the morning. I set the alarm for 4:11 (What can I say? I like prime numbers). I hit the snooze at least once. But I’m usually up and caffeinated by five am. This gives me a solid hour to work. By six, my daughter is usually stirring and I have to get ready for teaching. That’s not a lot of time. But I do it every day. Rain or shine. Sick or well. I’m able to produce about 75,000 words (typical novel length) of polished material in one year. Plus, I take weekends off (sort of) and write short stories. So if you claim to have no time to write, ask yourself this: When will you have time? Stop thinking about what you will do someday, and get it done today. Right now. Writing is my passion. My mind would starve without it. How Does Your Body Move After Death?